Harvests Failing to Feed the Hungry - Planet Aid, Inc.
Fall officially began in the Northern Hemisphere and spring in the Southern Hemisphere on Saturday, September 22 at 9:54 PM (EST). This was the moment of the equinox, when the Earth's tilt was such that the sun crossed the “celestial equator”—the imaginary line in the sky above the equator—from the north to the south. The moon waxed near full on this date and appeared in the sky just after sunset and illuminated the Earth all night until dawn. 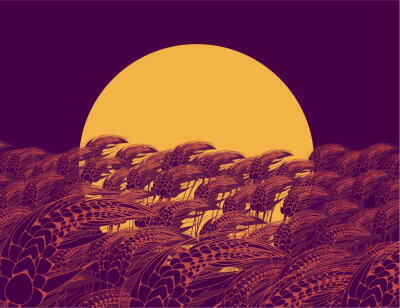 This moon is known as the “Harvest Moon” in the northern hemisphere, as it helped farmers in the fields as they worked furiously into the night to reap the year’s bounty. Innovations, such as flood lights and mechanization, have rendered the harvest moon a quaint reminder of simpler times. Yet the shocking truth is that, despite all the technological advancements and agricultural innovation, harvests are failing to feed the planet. “The number of undernourished people in the world has been on the rise since 2014, reaching an estimated 821 million in 2017,” writes the Food and Agricultural Organization (FAO) in its new report: The State of Food Security and Nutrition in the World. Severe “food insecurity” is when a person goes without food for an entire day or more. Some of the highest prevalence rates of food insecurity occur in Sub-Saharan Africa, where severe food insecurity increased from 25 percent of the population in 2014 to nearly 34 percent in 2017 (about 345 million people). –FAO, The State of Food Insecurity and Nutrition in the World. 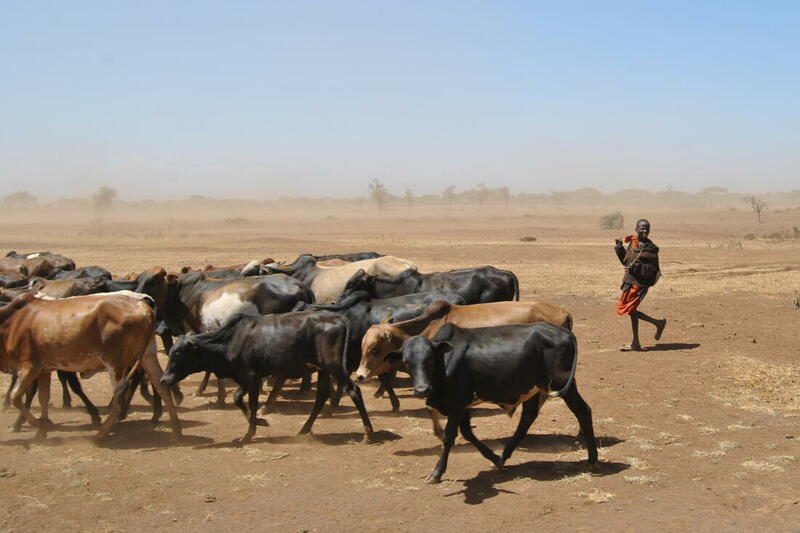 Climate variability and extremes were identified by the FAO as a key force behind the rise in global hunger and severe food crises. The report underscores that the severe drought associated with the 2015-2016 El Nino weather event decimated the food supply. This episode reflects an overall increasing trend in extreme weather­–related disasters, including extreme heat, droughts, floods and storms. An average of 213 events have occurred each year from 1990 to 2016. These types of events have a highly destructive effect on agricultural productivity, contributing to scarcity, a rise in food costs, and income losses, which all reduce people’s access to food. 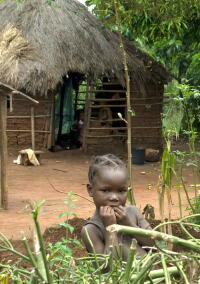 Planet Aid supports projects to help improve nutritional status and food security. For example, in Malawi we supported nutrition projects in two districts that focused on strengthening maternal and child nutrition. Our local partner, DAPP Malawi, worked in cooperation with the Government of Malawi’s “Scaling Up Nutrition” Program to organize outreach and counseling for lactating mothers and pregnant women. DAPP Malawi has in 2018 worked with other partners in its effort to improve nutrition. 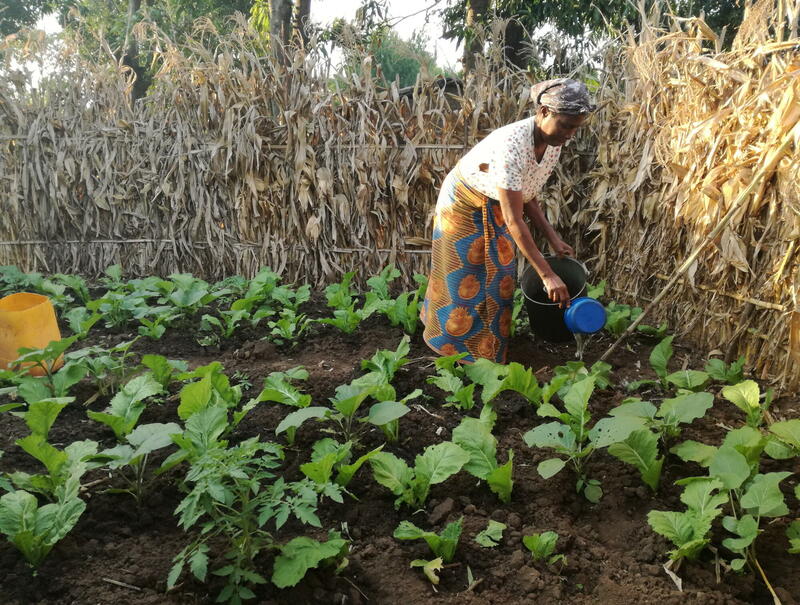 The projects include helping tuberculosis and HIV patients grow crops in backyard gardens and a new screening project—which is about to start—to identify severe cases of malnutrition and provide needed supplementation for those most severely affected. Planet Aid currently supports other nutrition- and food-related projects. These include Farmers’ Clubs projects in South Africa, India, Brazil, the Democratic Republic of Congo, and Zimbabwe. Farmers' Clubs organizes farmers into cooperative groups and trains them to work together, while emphasizing the introduction of sustainable conservation farming methods. 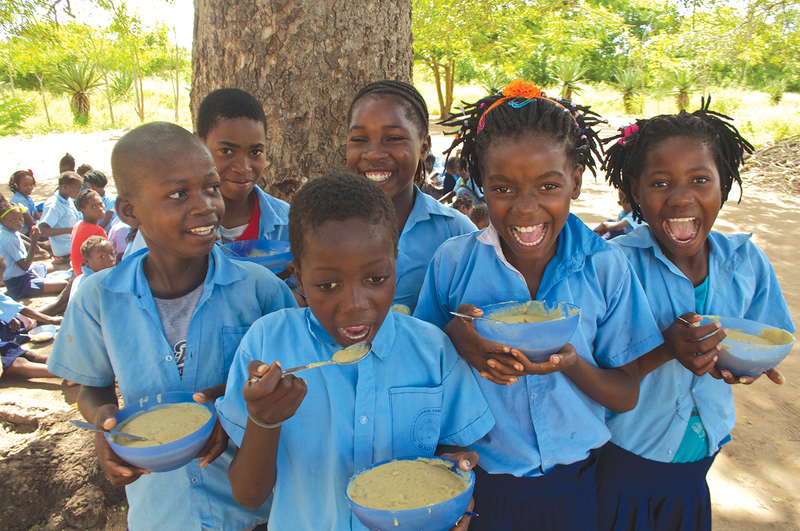 In Mozambique, our ongoing Food for Knowledge project is providing nutritious daily school lunches for approximately 80,000 children. This comprehensive nutrition and education project is not only increasing food availability but is also offering students an incentive to attend and stay in school. Other components of the project involve training teachers, implementing a new literacy program, providing nutrition training and creating school gardens, and fixing or building needed kitchen and sanitation infrastructure.